What is the best peeler? 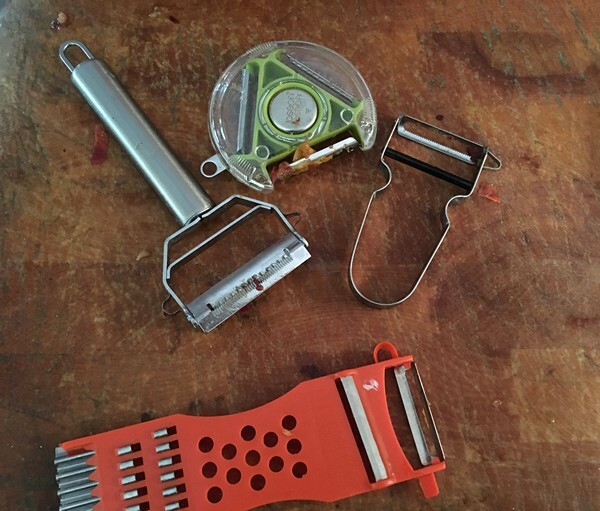 Almost a year ago, the Accidental Locavore took a pile of peelers out for a test. A new one showed up a couple of weeks ago. It’s from Joseph Joseph and came in my latest Mary’s Secret Ingredients Box. It’s round (weird) and has three blade choices. The gauntlet was thrown. It was time to see how the Joseph Joseph one did against the previous winners. Facing a pile of peaches needing to be turned into jam (before they just turned), normally I’d cut an X in the bottom, toss them in some simmering water for 30 seconds and let the skins just zip off (works for tomatoes too). For some reason, I decided to manually peel the peaches. First up, the winner of the first round of best peelers, my Uberchef. With its serrated blades, it made easy work of the (very ripe) peaches. Cool. Next: The peeler part of “the cheapie,” the multi-talented $4 Chinese peeler. Nothing but mess. Third up: The serrated blade of the Joseph Joseph. This was almost as good as the Uberchef at actually peeling the peaches. However, because of the shorter distance between the blades and the base, the peach peels kept getting stuck and needed to be cleaned out. 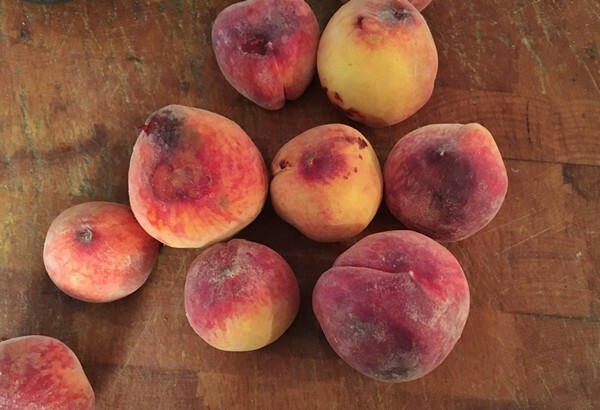 Three pounds of peaches went pretty quickly, which proves the point that good tools make anything easier! After making skeptical remarks about the Joseph Joseph peeler, it actually performed pretty well. 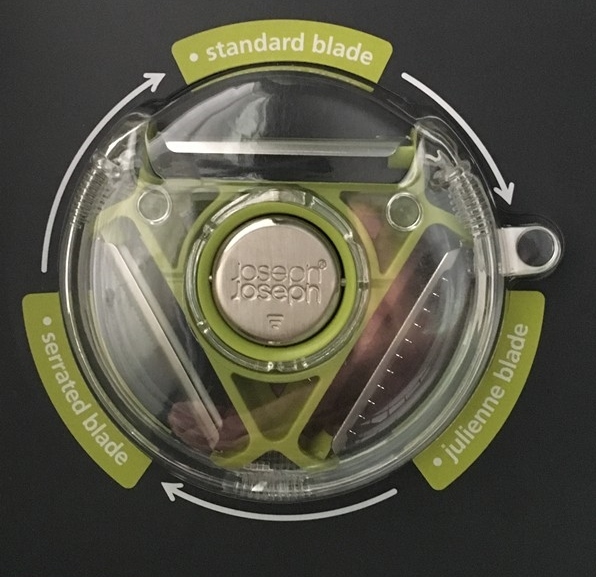 Two design flaws: when I peeled with it, my thumb was always on the button that changes the blades and it would pop up. Depending on how you hold it, that might not be an issue (and it’s really easy to switch blades). As previously noted, the distance between the base and blades is a little short and peels do tend to get stuck. It’s fairly easy to clean and reputedly dishwasher safe, although I never put anything with a blade in my dishwasher. Still the Uberchef. It’s become my go-to peeler. The serrated blade peels everything and having the julienne blade attached is a handy thing especially with carrots and cucumbers. What do you think is the best peeler? As part of my latest box from Mary’s Secret Ingredients, there was a set of measuring spoons that the Accidental Locavore initially just laughed at. 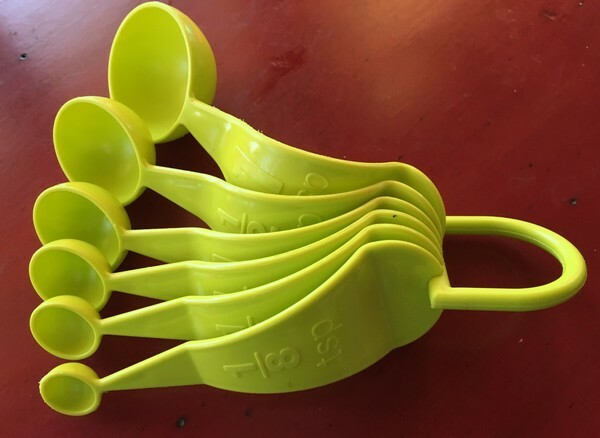 I’ve been using a set of Tupperware spoons since I got them and they worked fine (come on, what does a measuring spoon have to do but measure stuff? ), were a good color and clipped together easily so they were easy to find in the drawer. So when I saw this mess of spoons from POURfect and a strange stick that was attached, I was a little resistant. After reading that they were in Braille and metric, along with English, and had spoons for a drop, smidgen and pinch, skepticism reigned supreme! 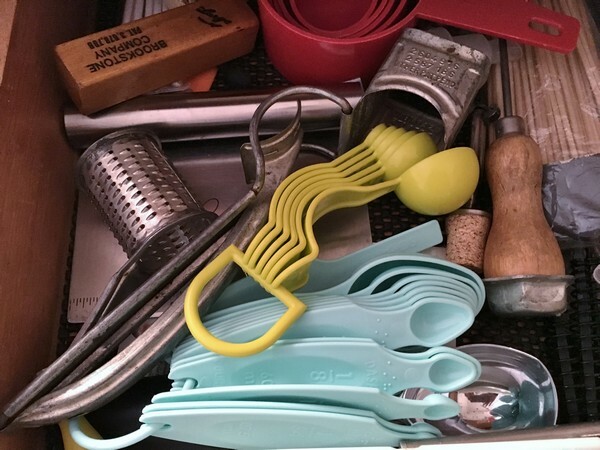 Part of it is probably because I don’t bake, so the accuracy of a pinch isn’t as much of a priority as finding the room in my height-challenged drawer for a big set of spoons. A pinch to me is as much or as little of the particular item (usually a spice) as I like. As for a smidgen – really? This morning, I had to admit to being a little hasty in pre-judging the spoons. 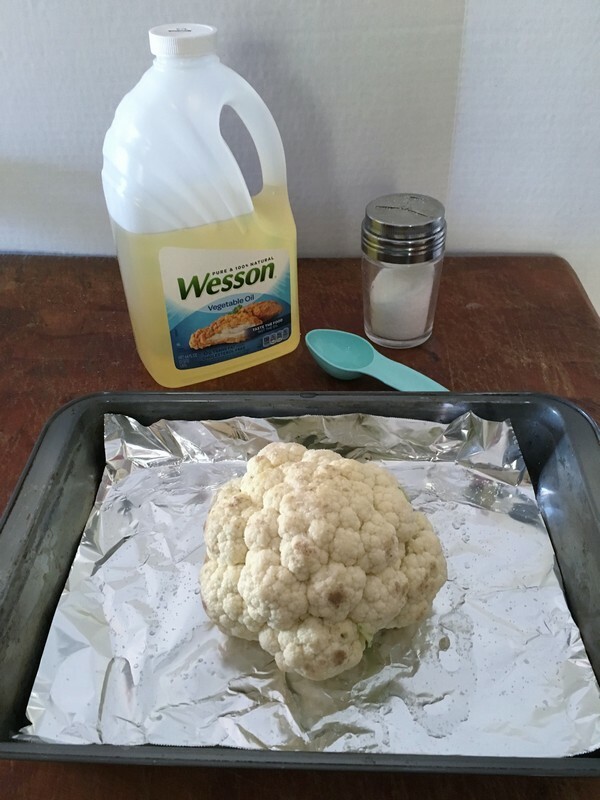 I was making a recipe for baked cauliflower that called for 2 tablespoons of oil to be drizzled over the cauliflower. Large bottle of oil in hand, doing it without making a mess was going to be a challenge. Then I remembered the set included a 2-tablespoon spoon and soon my perfectly drizzled cauliflower was on its way to the oven and the only thing requiring cleaning was the spoon. 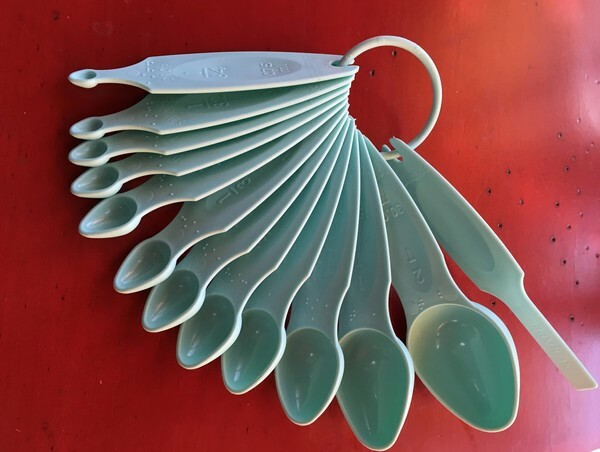 Since the pinch and smidgen spoons turn out to be in milliliters, they may come in really handy when I start cooking from my new (autographed) copy of Nopi. It was hand-carried over from London (thanks to Bob and Edesio!) and is all in metric, so now I don’t have to keep Googling conversions! And the weird stick? Turns out to be a leveling tool—clever! 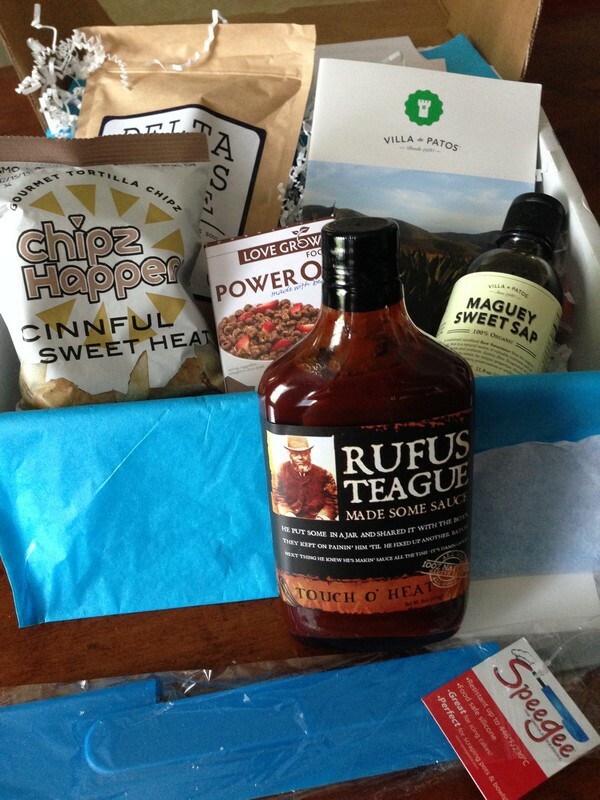 Contest: Win a Wonderful Box of Goodies! 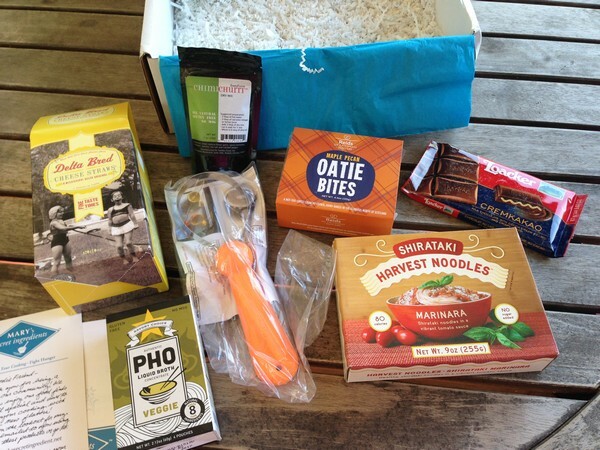 The Accidental Locavore was lucky enough to win a subscription to Mary’s Secret Ingredients, a “culinary surprise box.” A quarterly subscription service, I’m on my second box and it’s been a lot of fun and surprises! And if you read to the end of this post, you’ll have the opportunity to enter to win her upcoming fall box, which you’ll most certainly enjoy! The summer box had something that I’ve always loved and never really hunted down – what the (now, sadly, closed) Vietnamese restaurant Pho Viet Huong in Chinatown called broken rice. This was actually billed as Delta Blue Rice Grits and Mary has written about making wonderful risotto with it. I was more interested in seeing how it would compare with the extremely short rice I’d get in Chinatown as part of the lunch special. 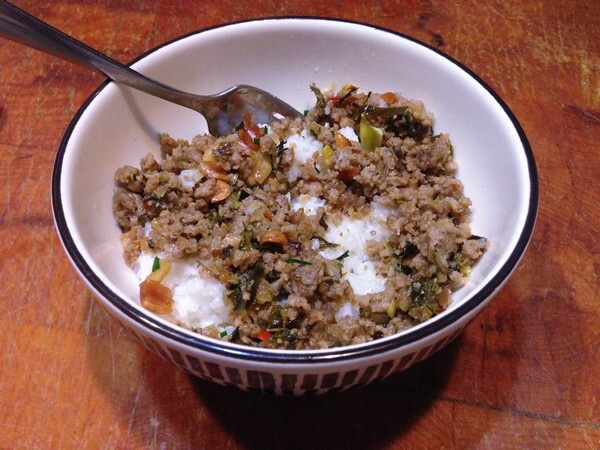 There was some leftover Thai style ground pork in the fridge which I thought would work well with the rice. 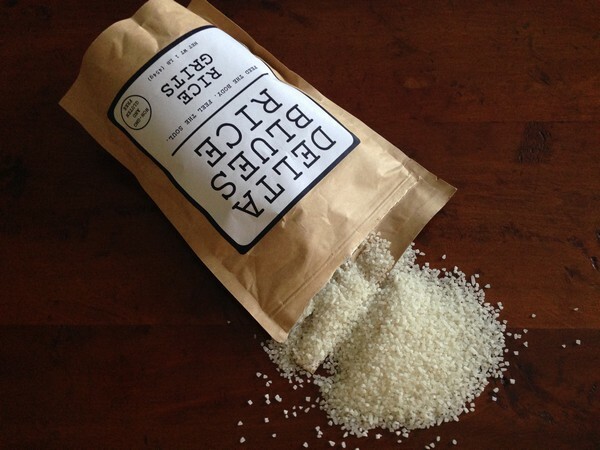 You cook the rice grits the same way as regular rice – twice as much water as rice, a little salt, bring it to a boil, cover and reduce to low for twenty minutes. Never fails. Except that night I forgot to turn on the timer! It was fine, a little overcooked, but not totally mush (which might be the desired texture for them as grits). I warmed up the pork and tossed it on the rice. It was great and will definitely inspire me to try some other Vietnamese dishes so I can serve the rice. I’ve already decided that rice bowls are going to be my go-to lunch this fall, replacing the ubiquitous salads and occasional souped-up (pun intended) bowls of ramen, so stay tuned and see what crazy combos come out of my kitchen! Now for the fun part! Mary has kindly offered one of my readers the chance to get their own “culinary surprise box” (and if you’re not an obsessive foodie, please don’t be scared off, there are lots of wonderful goodies in each box and most of them don’t require much more than opening a package). Just click on this link by September 14th, to sign up for the drawing: http://eepurl.com/bxDnj5. The winner will be decided by September 16th and have a great box of goodies on their doorstep by the end of the month! Share and enjoy! PS: If you don’t win and would like the box, it’s a very modest $25.99 – shipping included, but you should order soon or you might have to wait until December! The Accidental Locavore blog is about what I've eaten and cooked, with an emphasis on local and fresh. The posts are centered around my food adventures and recipes. It's always a surprise, and it's always about real food for real people. Sign up for the blog and see how easy and delicious cooking amazing local food can be! A Maxfield Consulting. The Accidental Locavore consults for entrepreneurs in the food space. I'll teach you how to use your financials to grow your business and reach your goals. JI Restaurant Consulting. Have you been ignoring aspects of your restaurant because there's no time? You need Janet.